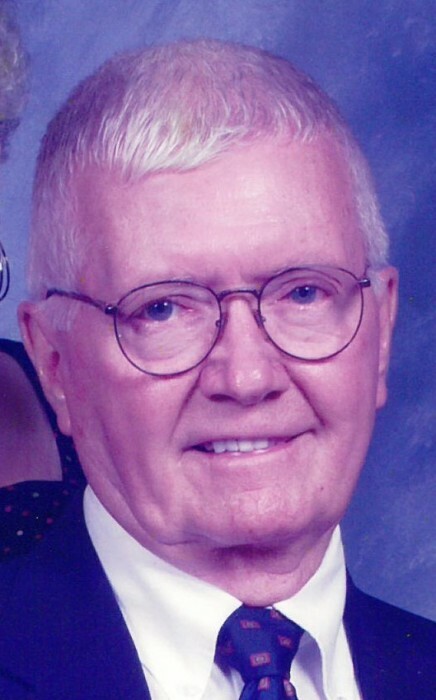 Mark Quentin Eubanks, Sr., 85, of Core Creek, died Monday, January 28, 2019 at home. He was born in Morehead City on March 16th, 1933 to Manly Eubanks and Marybell Sabiston Eubanks. He was a 1951 graduate of Beaufort High School and served his country in the United States Navy during the Korean War. He worked at the Naval Aviation Depot, Cherry Point for 33 years as a Management Analyst. Mark spent a large part of his life enjoying the outdoors by fishing, hunting, boating, doing yard work, or just sitting on the porch watching the boats go by. He was especially proud of his five sons and their families. A memorial service will be held at 2:00pm, on Friday, February 1, 2019, at Core Creek United Methodist Church, with Rev. Judy Billings, officiating. The family will receive friends at the church fellowship hall one hour prior to the service. He is survived by 5 sons: Mark (Quen) Eubanks, Jr. and wife, Penny, of Raleigh, Joel (Joey) Eubanks and wife, Susan, of Core Creek, Jon Eubanks and wife, Paula, of Raleigh, Patrick Eubanks and wife, Lisa, of Farmville, Sam Eubanks and wife, Joanna, of Fort Mill, SC; 13 Grandchildren: Hannah, Ryan, Tyler, Jenna, Jon, Leagan, Peyton, Thomas, Patrick Jr., Charlotte, Jacob, Aiden, Peter, and one Great-Grandchild: Emma (all Eubankses!). In addition to his parents, his wife of 55 years, Judith Byars Eubanks, a twin brother, Malcolm (one day old), two sisters, Jewel Eubanks Hill, and Delphine Eubanks Fulford Geller precede Mark in death. The family wishes to thank his caregivers Maureen and Dee; and a special thank you to his caregiver, Vicki, who devotedly cared for our father for over 6 years. We consider Vicki a very special family member. In lieu of flowers, memorial donations may be made to Core Creek United Methodist Church, 124 Hardesty Loop Road, Newport, NC 28570.